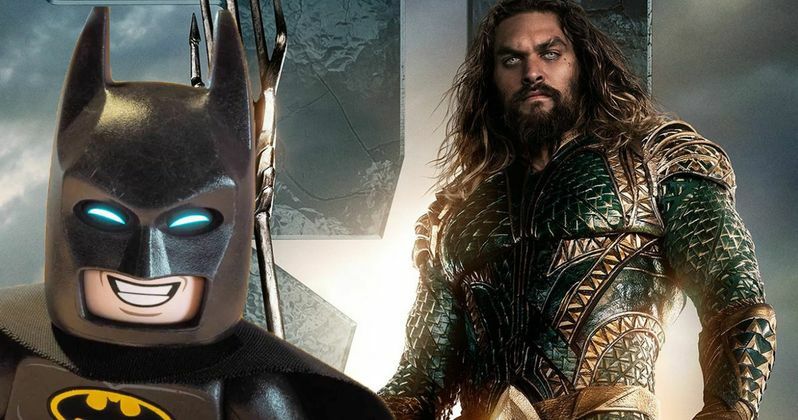 While attending this year's CinemaCon to promote Aquaman, the movie's titular star Jason Momoa revealed his favorite Batman actor to be Will Arnett. Arnett has previously voiced Bruce Wayne in The LEGO Movie and The LEGO Batman Movie, and is set to return to the role next year for The LEGO Movie 2. Over the past three decades, we have seen a number of different actors playing the Caped Crusader. Actors like Michael Keaton and Christian Bale have been beloved by fans, while other actors like George Clooney and Val Kilmer have received rather negative reactions from audience members, whether it was due to bad acting on their behalf or just overall bad writing. Additionally, a number of Batman voice actors like Kevin Conroy have received a lot of attention from DC fans, almost to the point of being favored by fans more than the live-action Batman stars. Despite Batman voice actors receiving a lot of attention, it still comes as a surprise to learn that Jason Momoa prefers Will Arnett over any other Batman actor. Most people assumed that Momoa's answer would have been Ben Affleck, considering that the two actors worked together quite a bit for Justice League and seemingly became good friends. However, it would seem that even the friendship between Momoa and Affleck was not nearly as powerful as the love Momoa has for The LEGO Batman Movie. As it turns out, Will Arnett was actually moderating the interview with Jason Momoa, which made Momoa's revelation even grander of an experience. Momoa didn't beat around the bush with his announcement, instead choosing to look directly at the LEGO Batman voice actor and telling him, "You're the best f**king Batman!" In all honesty, we can't really blame Momoa for preferring Will Arnett's Batman over the others. Many Batman fans would agree that The LEGO Batman Movie was the best Batman movie to hit theaters since 2008. It may have been a cartoon-ish kids movie, but the story and humor still managed to display the heart and essence of the masked vigilante we've come to love. The parodic mannerisms of the movie poked fun at many issues previous Batman movies have run into, while still managing to praise Batman as one of the great superheroes ever created. While it is actually very possible that Momoa was simply making a joke, and that he doesn't actually prefer Will Arnett's Batman over the other portrayals of the Dark Knight, his answer was very straight forward. While Ben Affleck and Jason Momoa may have become good friends on set, it wouldn't come as too big of a surprise to discover that Will Arnett still held a special spot in Momoa's heart, at least as a movie fan. While everyone seems to have their own opinions on who they think their favorite Batman is, it is always interesting to know the thoughts of the actual DC stars. This revelation of Momoa's Batman preference, reported by Screen Rant, certainly gave us that, even if it wasn't the answer we were expecting.